FM Controls uses the right equipment with the right programming to provide solutions that meet your exacting specifications and exceed your customers’ expectations. We have extensive experience in HVAC controls for health care, education, corporate, maintenance, and agricultural facilities. In addition to new construction, we also welcome retrofit and integration projects. Do you have questions regarding Reliable Controls? 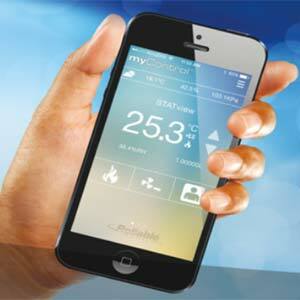 Visit the Reliable Controls website or we can arrange for a sales engineer to meet with you. We would be happy to discuss our capabilities as well as our project portfolio. Feel confident specifying FM Controls for your next project. We utilize only open-source BACNet programming on BACNet Testing Laboratories, certified equipment from Reliable Controls, best-in-class valves and actuators from Siemens and variable speed drives from Danfoss. Do you have other equipment manufacturers you specify? That’s fine too as we have extensive experience with most name brand manufacturers. Thank you for specifying or approving FM Controls as your next project’s controls contractor! Call for a no-cost review of your project. We value jobs of all sizes!